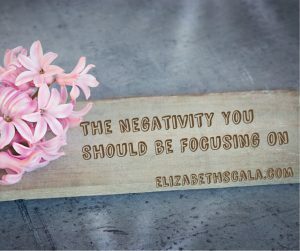 Last month I published an article about negativity in nursing. I articulated how there is a lot of social media posts that shed negative light on the nursing profession. And how I was fed up with it! Well, I must admit there is something good that comes from the negative. It is actually a coping skill that we have used all of our lives. Let’s take a trip down memory lane to nursing school. We all learned about the saber tooth tiger and our fight or flight response to danger. 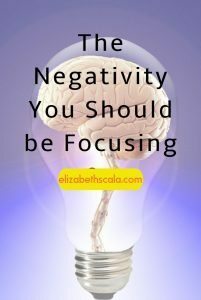 Without digressing too far into the science of it all, it is only natural that we tend to focus on the negative. In fact, our brain was pre-programmed to do so. A situation arises- it’s new- and what do we do? Look to avoid danger. Be aware of the negative to ensure our own safety. Last year I had the privilege of sitting in on some nursing focus groups. A study team was looking at what might improve the nursing work environment. They needed a silent observer- and that was me! I watched as the researcher posed questions to the group. She attempted to ask about what working conditions would look like when nurses were enjoying their jobs. I’m not kidding when I tell you that she was met with blank stares and silence. She turned it around. “What does it look like when you don’t have what you need to do your job?” The flood gates opened! Everyone in the room had something to say. These nursing groups did exactly what their brains trained them to do. Focus on the negative. When I give my signature keynote to a group of nurses, I talk about these things. First, I teach the audience about the power of presence and how we need to be aware of our thoughts. We go through several exercises that highlight the value of conscious thinking. Then as we move further into the talk, I share an honest truth. Sometimes when we come present to our thoughts- we realize… you know what, they’re not all ‘good’. Some, if not many, of our thoughts are negative. And then I put everyone at ease. It is OK. You are perfectly normal. You are doing what you have been programmed to do to protect yourself. However, instead of stopping here… we can use these negative thoughts to our advantage. We can tap into this great asset and move ourselves forward towards our goals. You can focus on a negative thought or feeling. Just not for too long. During my talk, I teach the audience about the ‘rant window of time’. This is something I encourage nursing groups to do when they get together for a meeting, outing, or any group event. We all know that nurses get together and can start to complain about what is not working. They may talk about what they don’t like about the workplace. OK- no need to ignore it. That will only make it worse. AND- no need to dwell on it. So, next time you get together with your group of nurses, bring out your mobile device. Set a timer for 5 or 10 minutes (at the most). Let all of the ‘negative’ come out and then BING! When the timer goes off- commit to ending this part of the conversation. Use the rest of the meeting, social outing, or discussion to flip the negatives into positives. This isn’t just Pollyanna thinking of positivity nonsense. There is real science behind this stuff. David Cooperrider, PhD and colleagues developed a model called Appreciative Inquiry (AI) that uses a strengths-based approach to getting things done. Instead of looking at what’s wrong- AI challenges us to focus on what’s right. Back to nursing. When you gather with your group (or even, when you become aware of your own internal thoughts and feelings) use AI to flip things around. Once that timer goes off and your ‘rant window’ is up… it’s time to focus on solutions. Same thing with you, the individual nurse, having a thought or feeling about work. The reason that we can use the negative thought is because it can help us figure out what we do want in our nursing careers. Remember the focus group- and when asked about the positive work environment? They didn’t have a clue! What they could have done was taken all of the things that came out when they started talking about the negativity in the workplace and used these items to flip things around. What is the exact opposite of this? How can I flip this thought/feeling/statement around? What else? What comes to mind when you think about the profession of nursing and using the negative to our good? How can we use something we perceive as ‘negative’ to our advantage? Share an example below and thanks for reading! Excellent suggestion…I love your recommendation for a “rant window of time”. It is certainly important to vent and get the negative out….but we need to move forward! Flip it! There is power in turning negativity into positivity. I love the idea of setting a timer that reminds us to stop talking about the ‘bad stuff’- a trigger. And then to begin speaking of the possibility that some things are going very right too! Celebrating the positives enhances an environment. Thanks Elizabeth Scala for an intriguing post. Think of it as a detox, purge the negative at first and then you’re cleaned out and refreshed to focus forward on the good stuff. Great point, Alene!! Thank you. Thanks Elizabeth! You highlight the importance of becoming conscious of our thoughts. Without that awareness, we are stuck. I so appreciate the development of the witness. That part of us who notices and then decides to continue, or to stop and shift or set a timer. Thanks so much for the idea recognizing the importance and value of being allowed the normal process of venting,focusing on the “negative”- and giving it a name- the “rant window of time”! You got it, Padma. Thanks for the feedback! In my next meeting am going to try your suggestion of setting a time and allowing people a ” rant window of time”. I think it is very interesting how we a programed to focus on the negative instead of the positive. Showing people how to “flip it” makes a big difference in changing their mindset as well as having more productive meetings and a overall empowered positive working environment. This is great to hear! Come on back and let us know how it goes after you try it. Great advice. Thanks so much. It gave me some useful tips to take back to work on Monday and I will incorporate this into my own mindset first, then introduce it to my team. Perfect, Theresa. Thanks and enjoy!